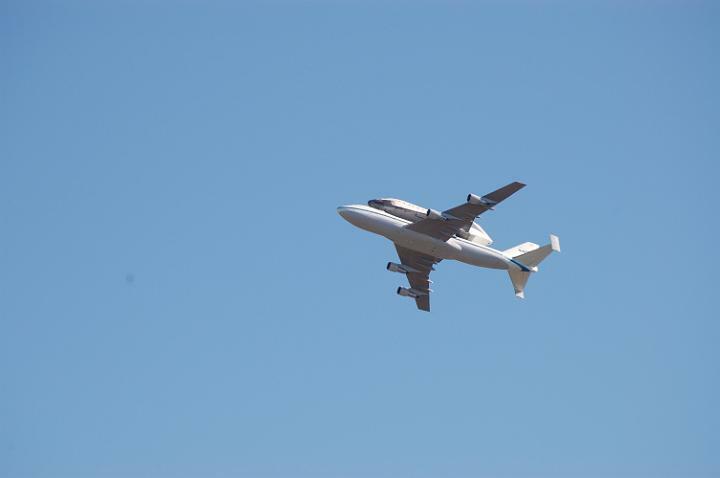 Today the shuttle flew right over our house on the back of a 747 on it's way back to Florida from California. It was a great site to see, and may be one of the last opportunities we have. Since I was home with Jackson today, I was able to get a few pictures.